Have you been looking for a unique business opportunity in a growing market? Clean Sleep may be the answer! 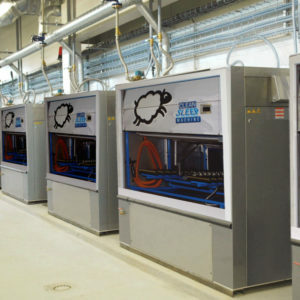 Our state-of-the-art technology is one of a kind and is quickly gaining momentum across the U.S., Canada, and the globe. We offer dedicated territories, on-going support and a low cost of entry, compared to many other franchise opportunities. Don’t miss out on the opportunity to join our team! If you’re as passionate about sleep as we are, we invite you to contact us for more information and become part of the Clean Sleep Revolution! I understand that the submission of this application does not obligate me or Clean Sleep, Inc. in any manner, nor does it imply that there is any legal or commercial relationship between us. I further understand that Clean Sleep, Inc. shall have no liability or ongoing obligations to me. I certify that the information contained in this Application is accurate and complete. 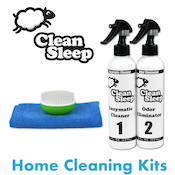 The materials on this website are for general information only and are not intended as an offer to sell or the solicitation of an offer to buy a Clean Sleep franchise. Clean Sleep offers a revolutionary, mobile technology that cleans and sanitizes commercial and residential customers’ mattresses onsite in as little as 15 minutes. Our one-of-a-kind technology eliminates allergens, pests, stains, odors, biological matter and contaminants, leaving your mattress like-new! We utilize our patent-pending Clean Sleep Machine, a unique machine engineered and developed specifically for sterilizing and sanitizing mattresses. If you have ever dreamed of owning your own business or want to expand your current one, we have an opportunity for you. Clean Sleep focuses on improving quality of sleep by offering unparalleled technology in mattress cleaning and sanitation. Our machine is mobile which enables you to service any business or residential customer within driving distance. Owning a Clean Sleep machine provides you an opportunity unlike any other.